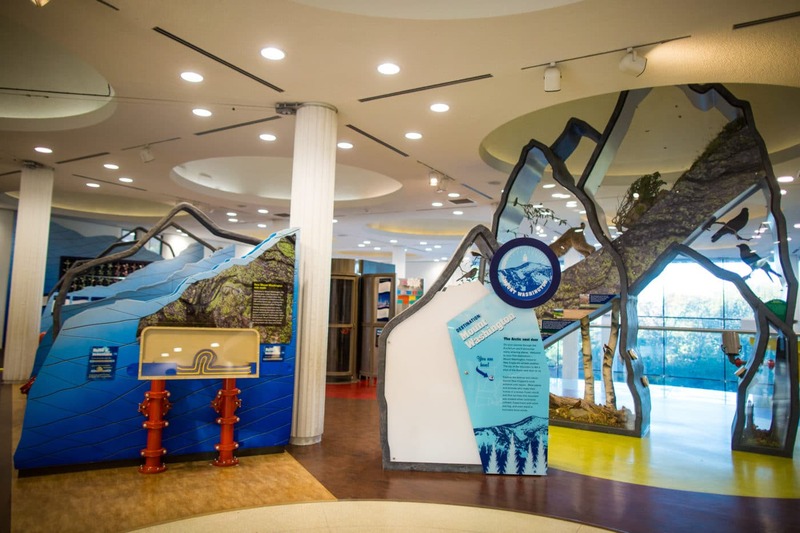 From “the top” of the EcoTarium, visitors will explore some of New England’s wildest weather patterns and the geology of the White Mountains. Experience hurricane winds, track local weather, find out how the mountain was created, experiment with wind, fog, and other meteorological phenomenon– and even take a virtual trip up the mountain. Envision yourself standing at the top of Mount Washington, New England’s highest peak and home to some of the most severe weather in the world. 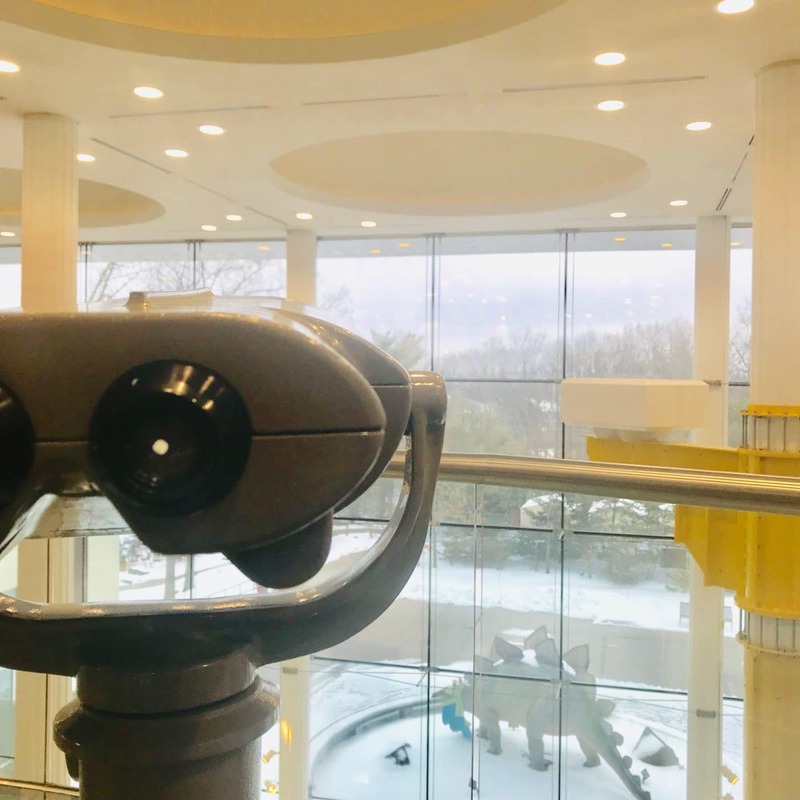 Step out on a glass floor ledge to survey the museum’s landscape below and the grounds as viewed through our three-story glass wall. What does a hurricane feel like? 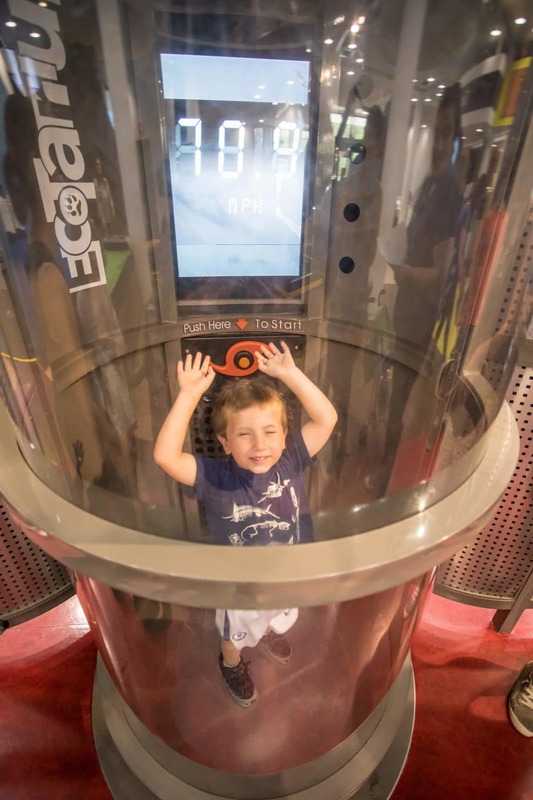 Enter a phone-booth sized hurricane simulator to experience the sound and fury of category one hurricane-force winds. Take a virtual trip up Mt. Washington as you “drive” up the auto road. Discover the unique conditions and different life zones found along the route, as you travel from familiar forests to arctic tundra. Learn about New England’s notoriously fickle weather. Travel back in time with seasonal views of the scene before you, synchronized with weather satellite images of the Northeast. 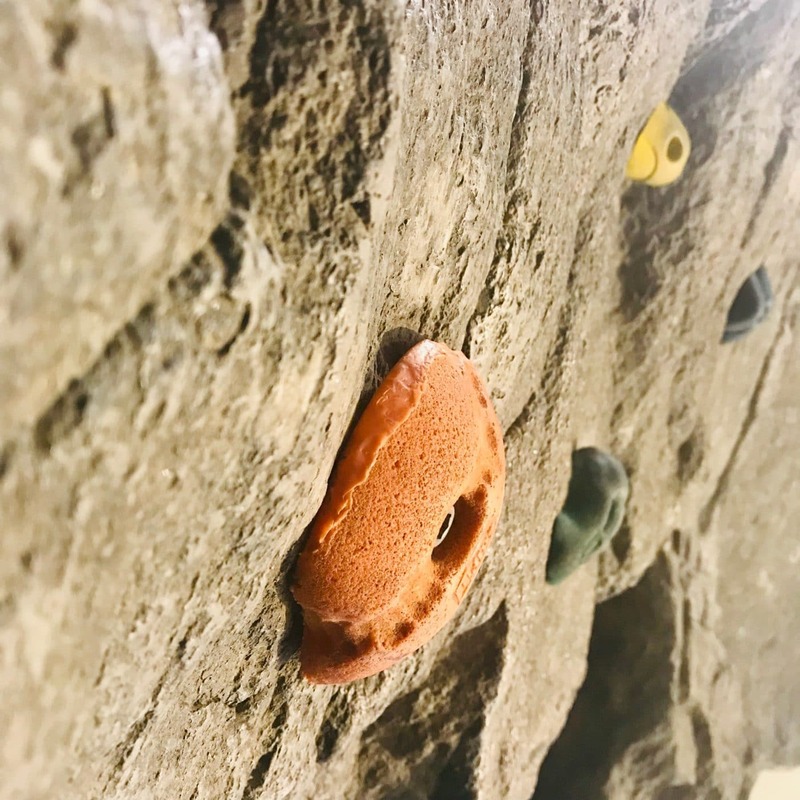 Test your mountaineering skills as you climb along our bouldering wall while learning about the rocks and minerals found on Mt. Washington. Children can also crawl through a boulder and then step carefully from safe rock to safe rock, taking care not to step on the delicate alpine plants found at the summit. 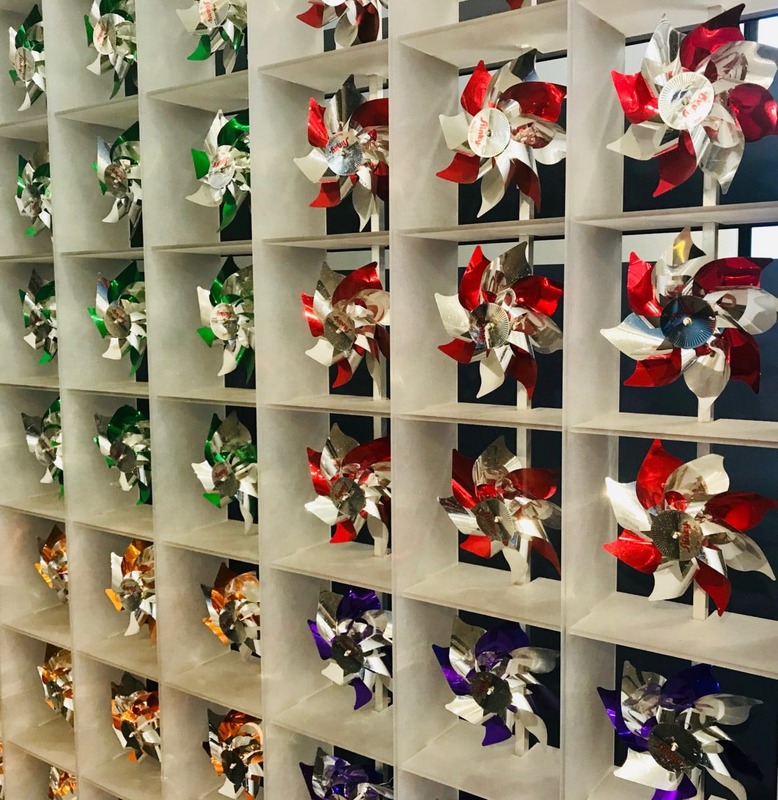 Discover the properties of fog and wind, and experiment with folding rock at interactive activity stations throughout the exhibit.